Women Lawyers of Western Australia elected their new committee at their AGM on Monday, 26 October. Congratulations to Anne Wood as senior associate in Kott Gunning’s Local Government team for being elected as President. Opportunities exist to join one of six working groups listed below. 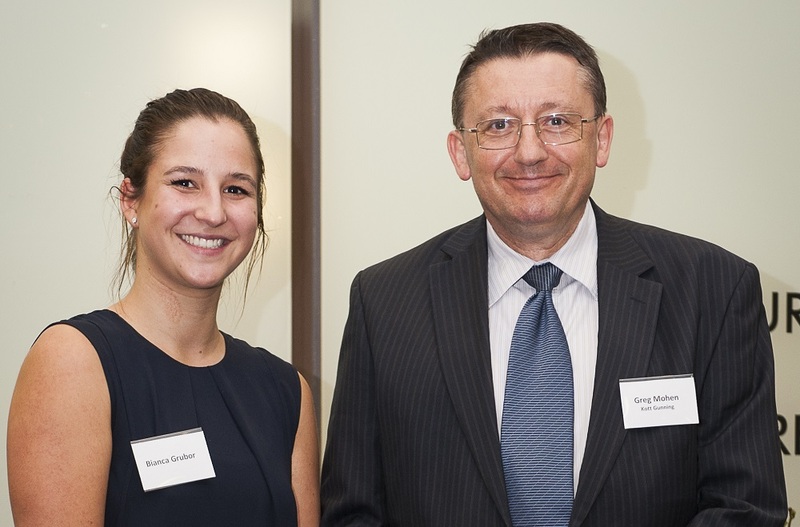 The School of Law at Murdoch University recently joined their donors and students to celebrate the success of their prizes. The Dean’s Award Ceremony was held on Tuesday, 17 March with over 20 donors and 35 prizes awarded. This unit offers students the opportunity to work with a staff member who has agreed to supervise a substantial project of legal research in the staff member’s area of expertise. Bianca has studied at Murdoch University for 7 years having first completed a Bachelor of Criminology in 2011, and then going on to complete a Juris Doctor. She has always had an interest in criminal justice, particularly the involvement of children in the criminal justice system. During the Dean’s Award Ceremony the Dean shared the success stories from the mooting teams. Murdoch School of Law’s extensive mooting program provides hands-on opportunities in developing litigating and advocating skills in a simulated and competitive context. Murdoch students have participated in a wide range of competitions around the world and have been highly successful in presenting cases to moot court panels consisting of internationally renowned experts, lawyers and judges. Murdoch School of Law is the most awarded Western Australian University for its Mooting practice. In 2015, is the celebration of the 800 year Magna Carta, 40 years of Murdoch University and 25 years of the Murdoch Law school. The school will celebrate these memorial events later in the year, with the first being the Magna Carta and an event held on 15 June with the Chief Justice of Western Australia, Wayne Martin, opening the event as the key note. Murdoch University School of Law, combines a tradition of excellence in legal education with the necessary skills in research, writing and advocacy to get students job-ready for the career of their choice. Students have the opportunity to broaden their horizons, and increase their confidence with study abroad options. Students can work and learn hands-on in the unique and award winning clinical legal education program offered in collaboration with the SCALES community legal centre, learn from dedicated staff and renowned national and international experts who visit during the summer and winter term. Over the past 25 years Murdoch law school has a proud reputation for producing highly successful graduates. Many are now in leading positions within the industry, in Perth, in Australia and abroad. Kott Gunning encourages the pursuit of academic excellence and supports prizes and awards to recognise individual achievements at most Western Australian law faculties. Partner Greg Mohen (pictured) represented Kott Gunning at the Dean’s Award Ceremony.